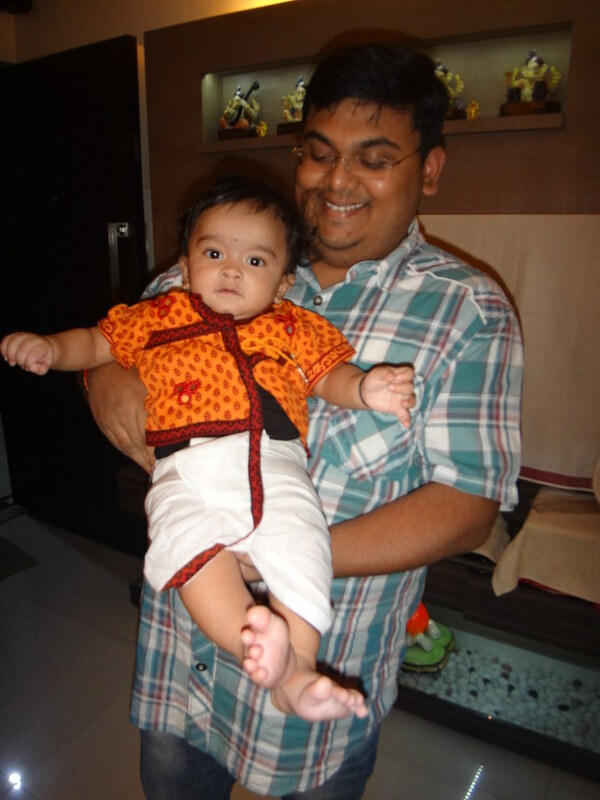 The 'First'..'s are always special and when they are your kids 'firsts', oh! man the feeling is out of this world. Be it their first smile, first weaning food, first attempt to crawl or first time your cleaned that poppy diaper, every first makes you a proud parent. Of Course I am still new to parenthood but by far I can't get enough of it. As per marathi traditions in the first year of a newborn you celebrate Makar sankranti, Gudi Padwa, Holi and Rangapanchami. 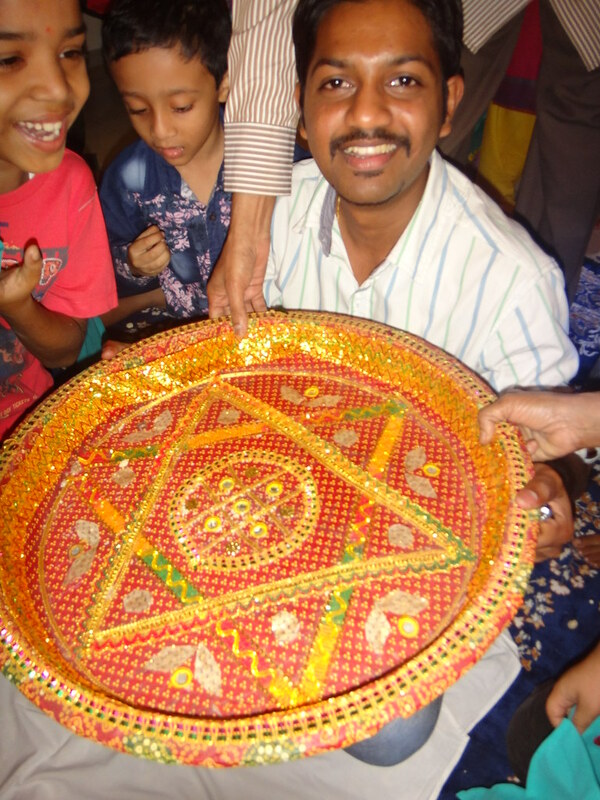 Makarsankranti was my first festival as a new bride (Check out here) hence this festival is very special to me but now it is Arha's first celebrated festival as well so it becomes monumental. 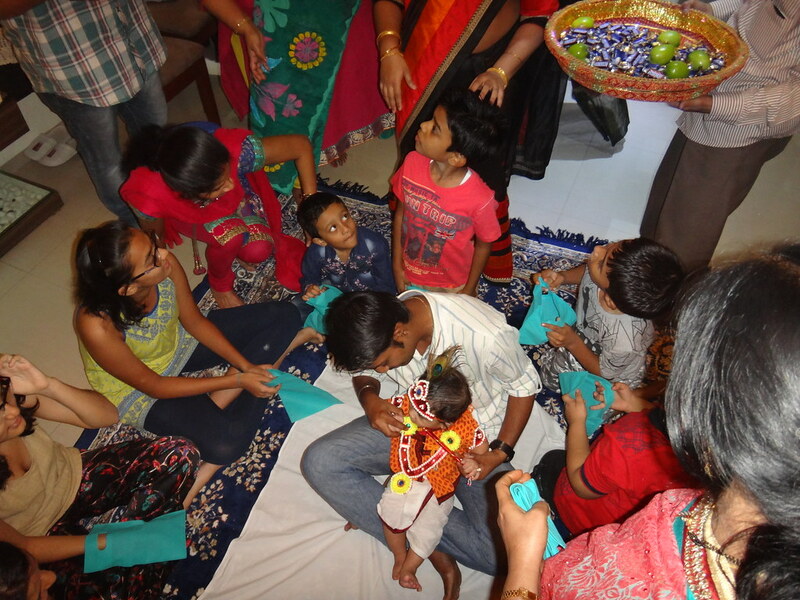 Q: What do we do on kids first Makarsankranti?? Ans: Bornan or Borvant or Borsnan. 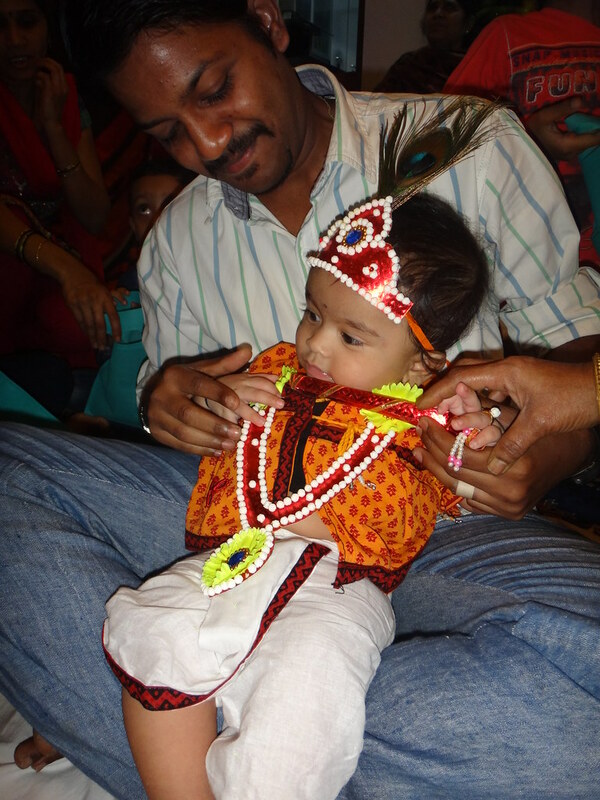 It has various names across different communities but the basic concept is showering the newborn with 'Bor' or 'Ber' or berries. You can pick any day according to your convenience starting from Makar Sankranti (usually on 14/15 January) to Ratha Saptami to conduct the Bornan. 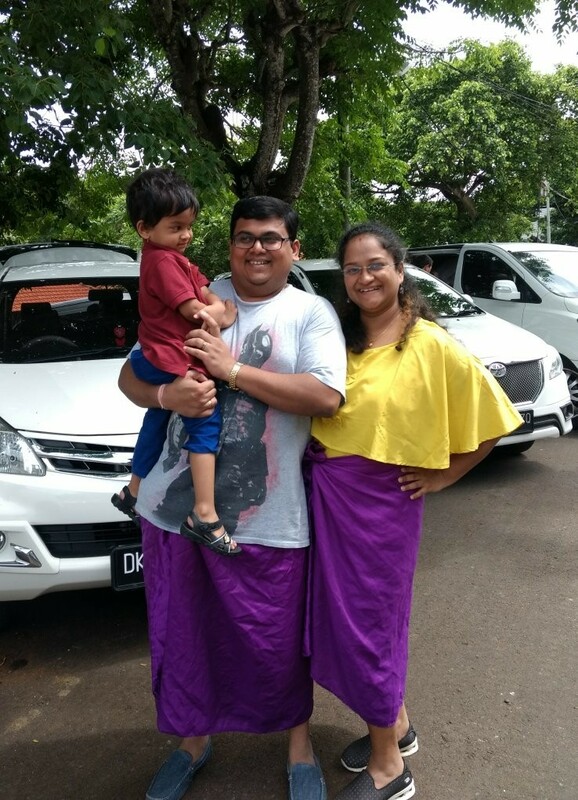 We planned to have this on the same day as we had our Maghi Ganesh Utsav (Check out here) Plan this ceremony in the evening or on a holiday because you would need kids from the neighbourhood to attend. 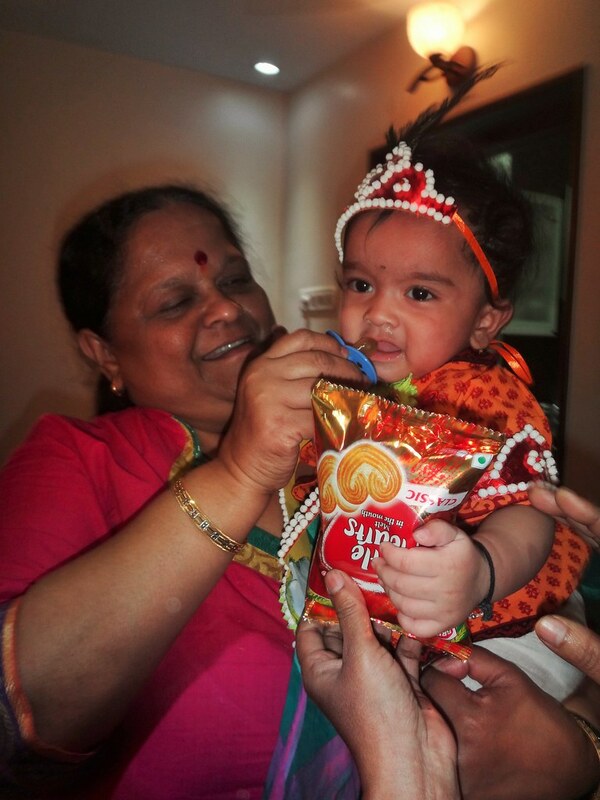 On the day dress up the baby/toddler in preferably black clothes or something new and adorn the kid to be showered with sugar jewellery (हलव्याचे दागिने ) . The kids uncle (i.e. 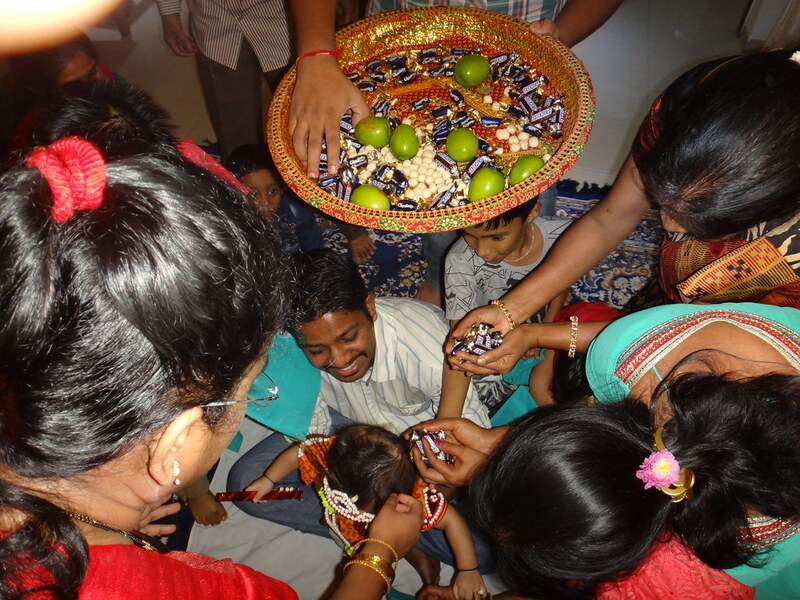 mother's brother) makes him sit on his lap and all the ladies shower the baby with berries, puffed rice (kurmure), carrot pieces, grapes, traditional sugar treats like revadi, etc. Next you ask other kids to pick up those sweets and stuff it in their bags. 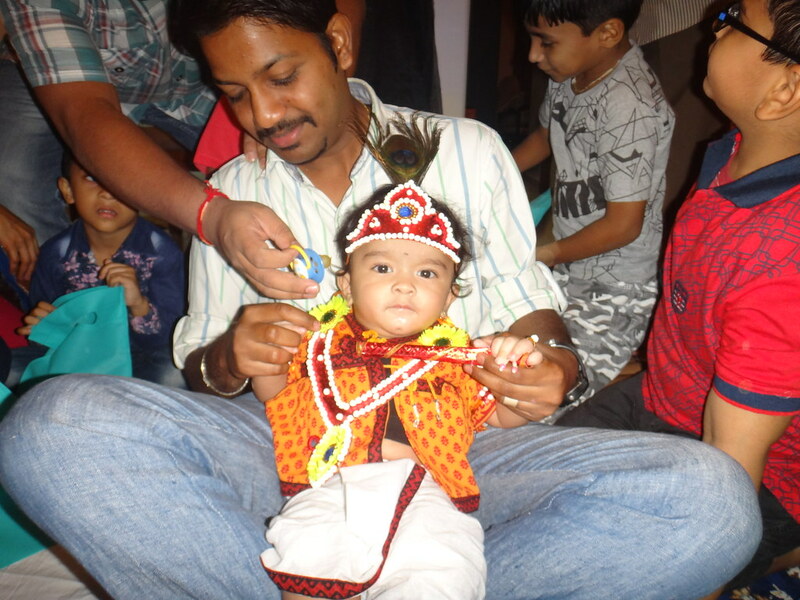 Whole idea behind this act of tradition is that you want the newborn to be showered with prosperity and love which in turn is shared with the society. 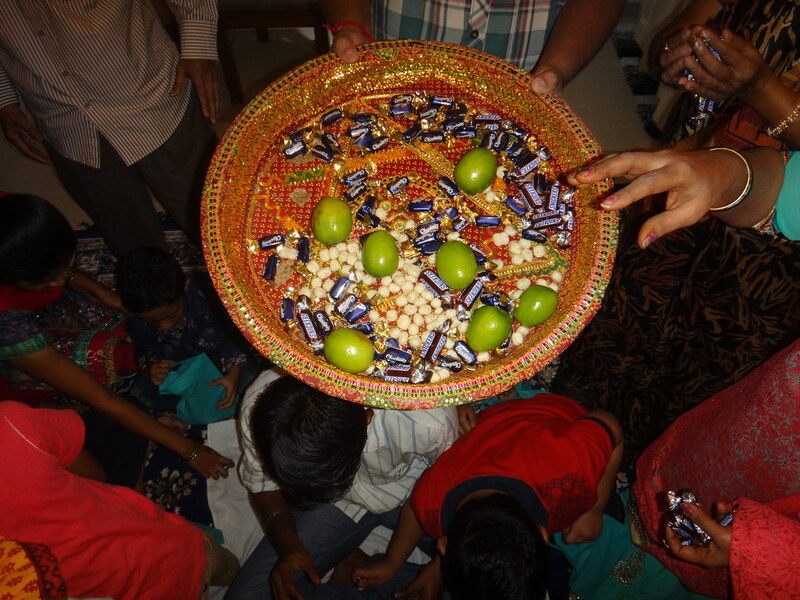 We substituted the messy items such as puffed rice and grapes with chocolates and toffees plus we also distributed Little Hearts and Appy juice boxes thus the kids had a gala time. Infact we had to hold back the adults from grabbing those sweet treats. It's a small ceremony but a fun filled one. The house was full of chaos and both of us (AmHi) were busy handling the children hence we couldn't click but our cousin managed to capture this beautiful memory.